Monumental city, historic crossroads, near and close, linked to rich regions, with a traditional and characteristic gastronomy and perfectly located to tour the province. All this and more is what you will find if you visit our town. Astorga keeps a valuable historic heritage, since its Roman foundation. A very important town in that time, it was the capital of the Hispanic north-west and one of the biggest mining exploitations of its time. The presence of gold in these lands marked the history of our city, which preserves rests of this glorious past underground. 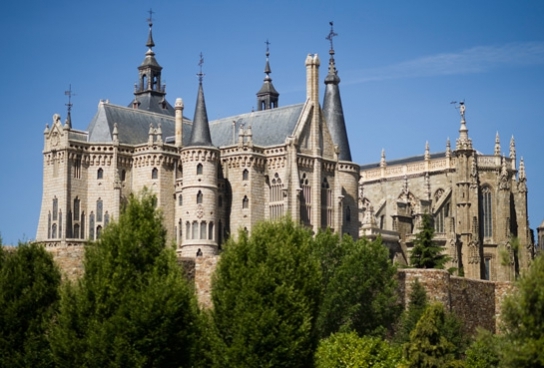 At the same time the presence of a Christian community from ancient times (third century) and of a diocese will characterise the artistic and historic destiny of Astorga from the Middle Ages to the Modern Ages, leaving an all-important heritage. For example, in Astorga we find from a Cathedral, renovated several times until the one we see nowadays, a big number of churches and convents spreading over the town, to an episcopal palace designed by Gaudí at the end of the 19th century, singular building within the town and the author's work. Later at the end of the 19th century and beginning of the 20th, Astorga grew industrially around the chocolate making , modernising its traditional production. As a token of that time we have modernist style houses as well as the industrial legacy gathered in a Museum. A heritage still alive in the current pastry and chocolate industries and shops. 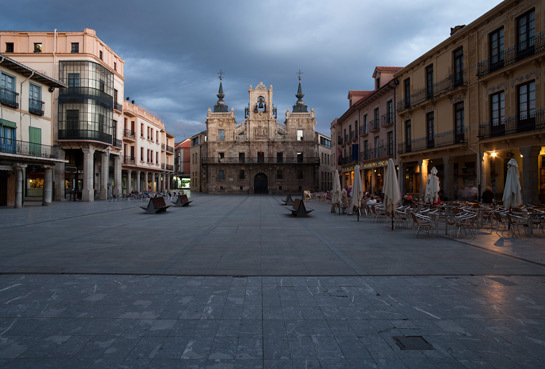 Moreover, the participation of Astorga in the historic events takes places regularly: its Roman foundation and origin, the participation in the Battle of Clavijo, the siege and reconquest of the town during the Independence War against Napoleon(who stayed in the city during the War), etc. In addition, Astorga is part of one of the most singular and important regions: La Maragatería, land of mule drivers, maintains a very characteristic architecture of big houses around their large patio, and a very particular gastronomy. Linked to Astorga for its Roman past, its landscape is full of Romanized forts and small mining exploitations. Along with La Cabrera and El Bierzo, especially Las Médulas, all the territory around Mount Teleno, form one of the biggest mining exploitations of the Ancient Ages. Feeling oneself and being in Astorga is feeling and being in the province. It sums up itself the history and all its art and is equidistant from the most important spots of its geography. Its proximity to the capital of León and being the communication hub makes it perfectly connected by road, train or the nearby airport of León (30 minutes). And it makes any other point of the province we are interested in visiting not far away. 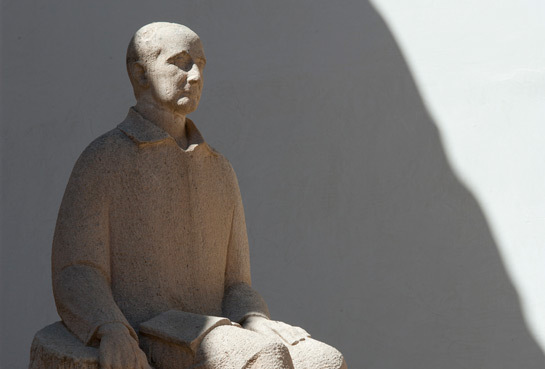 All the art, landscape and leisure of León is at your hand.